Carbon dioxide (CO2) gets a bad rep for contributing to global warming, and deservedly so. But scientists say they can't entirely blame the greenhouse gas for a curious spike in Earth's temperature 55 million years ago. New research reveals that something else also seems to have warmed the planet during that time, though no one's quite sure what it was. Over the past couple of decades, researchers have been gathering data about a mysterious event known as the Paleocene-Eocene Thermal Maximum (PETM). The data, derived from drill cores brought up from the deep seabed in the Atlantic and Pacific Oceans, show that the surface temperature of the planet rose by as much as 9°C within 10,000 years during the PETM, which itself started out warmer than our current world. Temperatures stayed at this elevated level for nearly 100,000 years. On the surface, the culprit appeared to be CO2. For reasons unknown, atmospheric concentrations of the gas rose by about 700 parts per million, from 1000 ppm to 1700 ppm--more than four times higher than today's level of 385 ppm--during the PETM. That much of an infusion of the well-established greenhouse gas should have been plenty to spike temperatures. But a new analysis doesn't fully support this scenario. 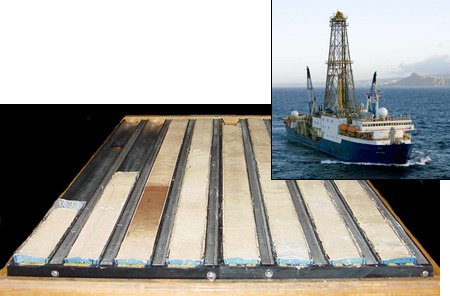 Oceanographer Richard Zeebe of the University of Hawaii, Manoa, and colleagues ran carbon-cycle simulations of the oceans and atmosphere based on the data yielded by the sediment cores. They even simulated what would happen to global temperatures when they increased the atmosphere's sensitivity to doubling CO2 levels--to 2000 ppm--during the PETM. The most they could achieve was a warming of 3.5°C, they report online this week in Nature Geoscience. That means some other phenomenon must have pushed up temperatures by as much as 5.5°C, the team says. So at present, the unexplained warming represents a gap in understanding about what causes significant and rapid climate change. "It's possible that other greenhouse gases such as methane could have contributed to the [PETM] warming," Zeebe says. It's also possible that the models are underestimating the climate response to CO2 increases. If that's the case, it "would mean our understanding of the climate system is incomplete," he says. Zeebe's team is now looking at smaller warming events that occurred within several million years after the PETM. "We're currently trying to find out whether or not [they] were caused by the same mechanism," he says. The idea is to determine whether the PETM warming was unique "or a universal feature." Geochemist Gabriel Bowen of Purdue University in West Lafayette, Indiana, applauds the work. "We've long had a hunch that something was fishy about the climate response during the PETM," he says. "This study puts the nails in the coffin of the idea that climate during the PETM responded to CO2 alone." Says Bowen, "The urgent challenge now facing us is to find out what was amplifying [temperatures] during this event and understand what it means for Earth's future."